Hearts have turned down two bids for their defender Jordan McGhee from Championship side Ipswich Town. 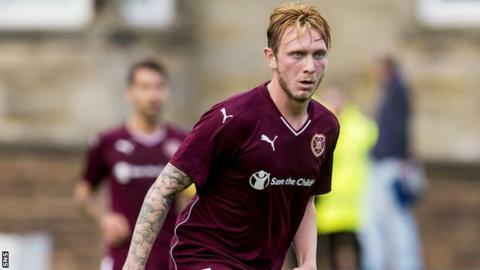 The second was worth in excess of £250,000, but Hearts are not keen to sell the Scotland Under-21 international. McGhee, 19, can play at right-back or centre-half, and had a significant role in Hearts' Championship title-winning team last season. He signed a new deal at Tynecastle in January this year until summer 2017. McGhee, who came through the youth ranks at the club, faces stiff competition for a place in the Hearts defence following the signings of Blazej Augustyn and Igor Rossi in addition to the presence of captain Alim Ozturk.